Is Green Tea Extract Effective for Fat Loss? Green tea is a popular weight loss supplement because people see it as effective and natural. But just how effective is it? In this article we’ll tell you exactly how effective it is and how much you should take. It shows that fat oxidation was increased by 35.2% by the green tea extract. We already learned that fat oxidation is increased by green tea extract, but exactly how much weight loss does that result in? The following chart compares exercising 3 hours per week to exercise with green tea supplementation. 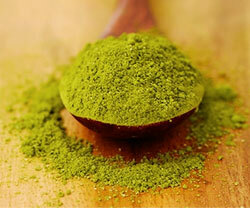 The effect of green tea extract was significant, increasing weight loss by 120% over 12 weeks (an extra 1.2kg). 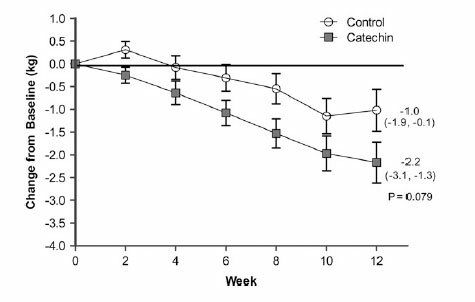 While the weight loss of both groups was quite low after 12 weeks (1kg and 2.2kg), the green tea extract did increase weight loss. 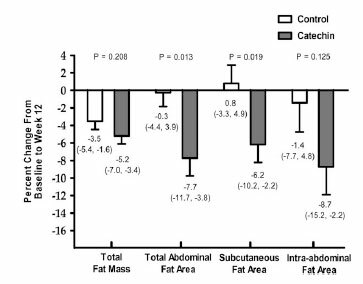 There is something else significant to note from this study: the fat loss from the green tea supplementing group was strongly skewed to stomach (abdominal) fat loss. This is a great advantage, as many people would love to lose some stomach fat. 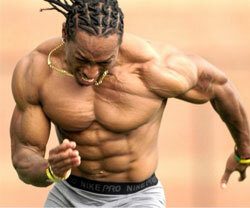 The studies that reported positive fat loss from green tea extract had intakes of 500-1000mg per day. Going by the prices of Green Tea Extract @ Amazon, the cost per day is about $0.10. That is good value, in my opinion. 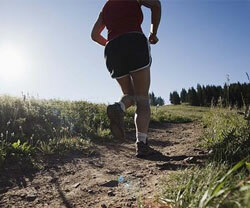 For an increase in fat oxidation and a decrease in abdominal fat, $0.10 per day is cheap. Does Walking With Weights Burn More Calories? 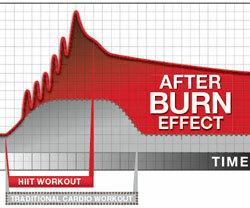 What is the Best Cardio for Burning Calories? No Responses to "Is Green Tea Extract Effective for Fat Loss?"